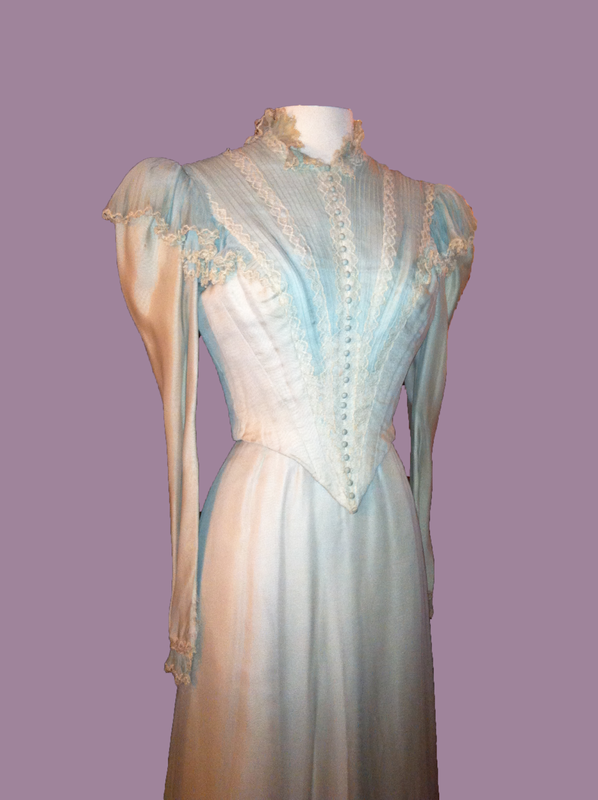 Jeanne Crain period gown worn in "The Fan"
Jeanne Crain wore this light green Victorian style gown in "The Fan," from 20th Century Fox in 1949. 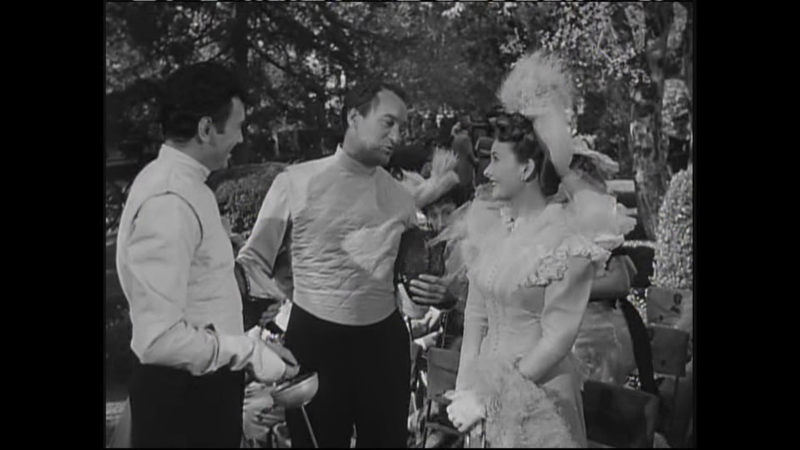 The movie is based on Oscar Wilde's famous play "Lady Windermere's Fan," and it stars Crain as Lady Windermere herself, with Madeleine Carroll, George Sanders, and Richard Greene in supporting roles. 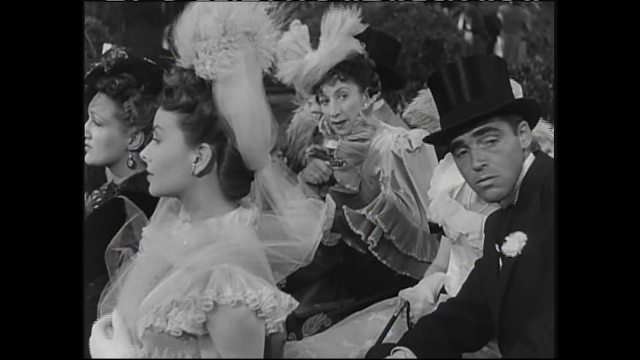 It was directed by Otto Preminger. Jeanne Crain was one of the great beauties in movies during the 1940's, and one of the biggest stars at 20th Century Fox at the time. After starting her career there in the early 40's, she appeared in a few 'A' list movies, including "State Fair" and "Leave Her To Heaven," both of which she was excellent in, and by 1946 she was starring in her own movies, usually playing a pretty and sweet girl-next-door type. In 1949 she made "Pinky" which is generally regarded as her best performance and the most important movie she made in her career, not only because it was a first class production but for the social implications that it had. In it she plays an African American girl that passes for white, who, after studying to become a nurse in New England and being accepted as white, goes back to the south to stay with her grandmother (played by the incredible Ethel Waters), on the plantation that Waters lives and works on, and deals with the racial adjustments she has to make. 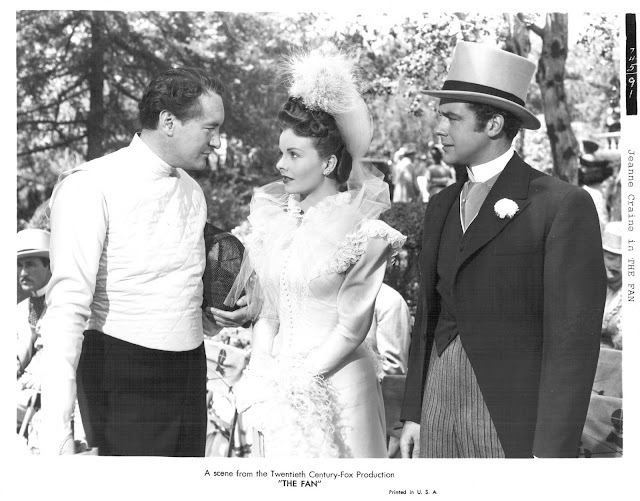 Ethel Barrymore plays the elderly owner of the plantation who winds up being a great influence on Crain, as well as Waters who raised her. It's an excellent movie about how African American people were treated in the south during the time, even during the 1940's, and the prejudice that they had to endure, and how when she passed as white her life was dramatically different. 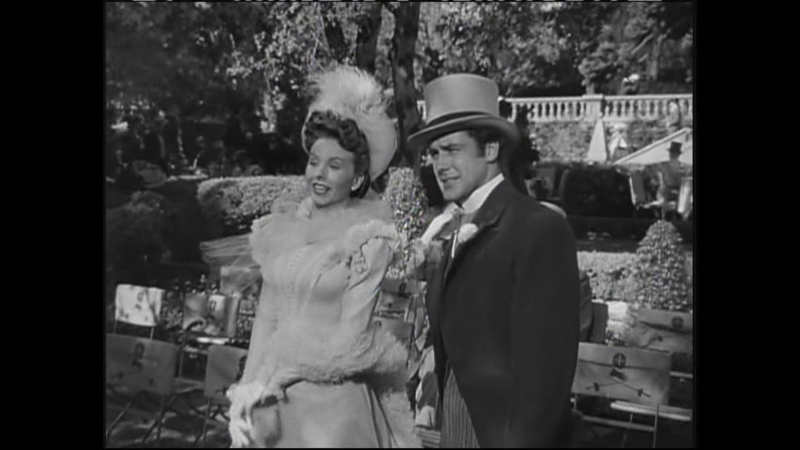 Elia Kazan who directed the movie did not want Crain in the part, and instead wanted a more believable actress, preferably Lena Horne who actually was African American. But of course the studio at the time wouldn't allow that. Crain was as white as can be, and is slightly unconvincing in that regard but as far as the performance goes, she gives it her all and it comes across. The bitterness, frustration, and conflicting feelings are all there. Anyhow I could go on and on all day about this movie, or any movie I happen to love, but getting back to Crain and her career, in 1949 she made "A Letter To Three Wives," which can also be considered one of her best movies. 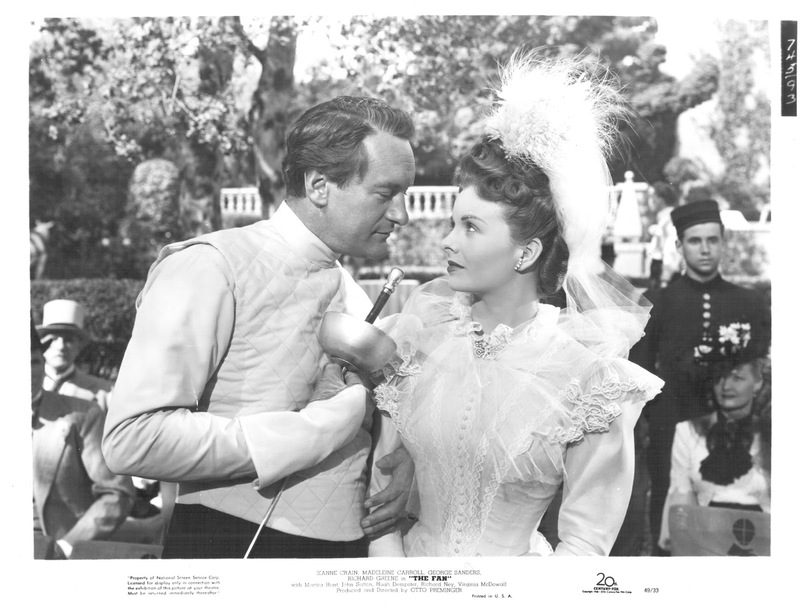 Helmed by the great Joseph L. Mankiewicz, it has all of the sharp dialogue he was known for, and is a very well written story with engrossing characters who are well developed. It was also a first class production for the studio and had a great cast including Ann Sothern, Linda Darnell, Kirk Douglas, and Paul Douglas. 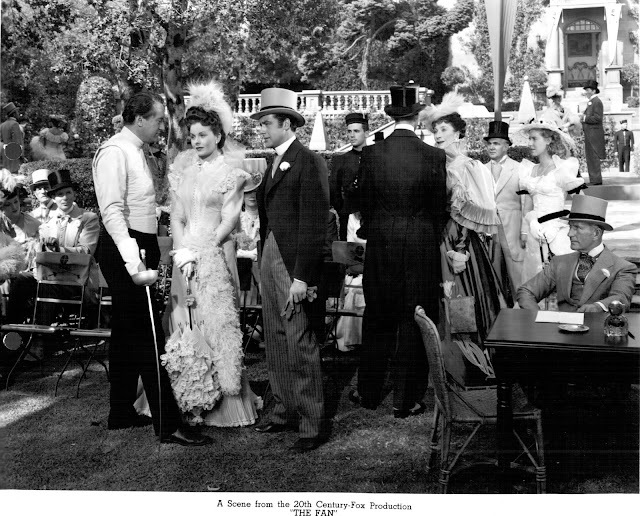 In the 1950's and 60's Crain continued to star in big productions, like "People Will Talk" with Cary Grant, and "The Joker is Wild" with Frank Sinatra. By the late 60's her career wound down, and her last screen credit was in 1972. Crain had an active family life, she and her husband Paul Brinkman had five children, and although a tumultuous marriage at times, they stayed married until he passed away in 2003, and she passed away a few months after him at the age of 78. 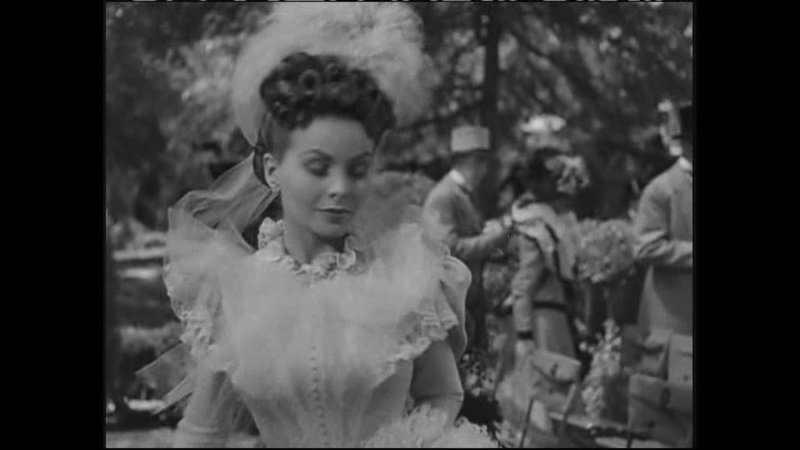 Being a classic movie fan and immersed in the "world" of it so to speak, I've always felt that Jeanne Crain doesn't get the attention that she deserves. She was an excellent actress, a great beauty, and had all of the charm, poise, and personality to be remembered as a great star of classic Hollywood. 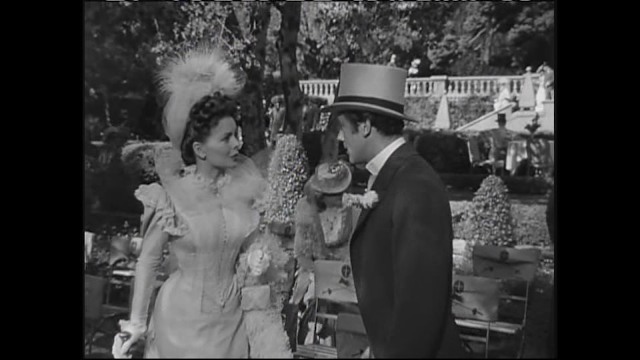 The gown was designed by Rene Hubert, who was very adept at period styles, and designed for many of Fox's period movies throughout the 1940's. 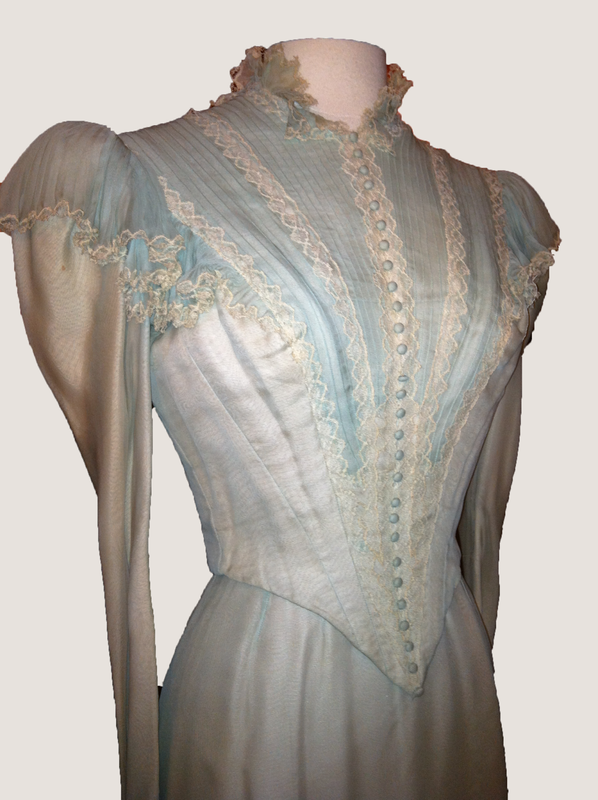 The Linda Darnell and Gloria Swanson gowns on the blog were also designed by him. Like a lot of the other great Hollywood designers, he moved effortlessly between period and modern day styles, and is today considered one of the great designers of Hollywood's Golden Age. Crain as Lady Windermere wears the gown when she attends a fencing match between Lord Darlington (George Sanders) and Cecil Graham (John Sutton), both of whom flirt with her before the match begins. 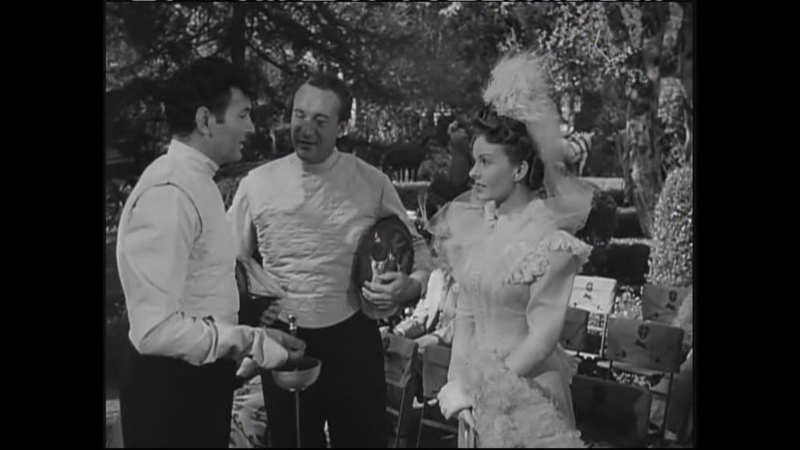 It quickly gets called off because of rain, but not before everyone notices the arrival of Mrs. Erlynne (Madeleine Carroll). 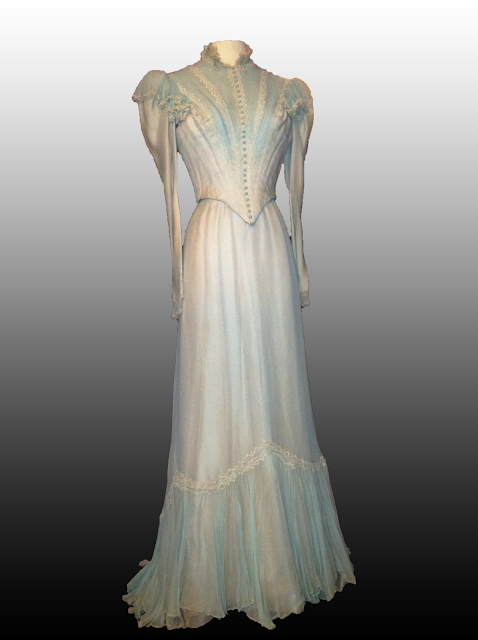 The gown is labeled with her name and production number "549" which is the corresponding one for the movie. Fox had a chronological numbering system that they used, similar to that of MGM, which began in the 1930's and continued through the 1960's.